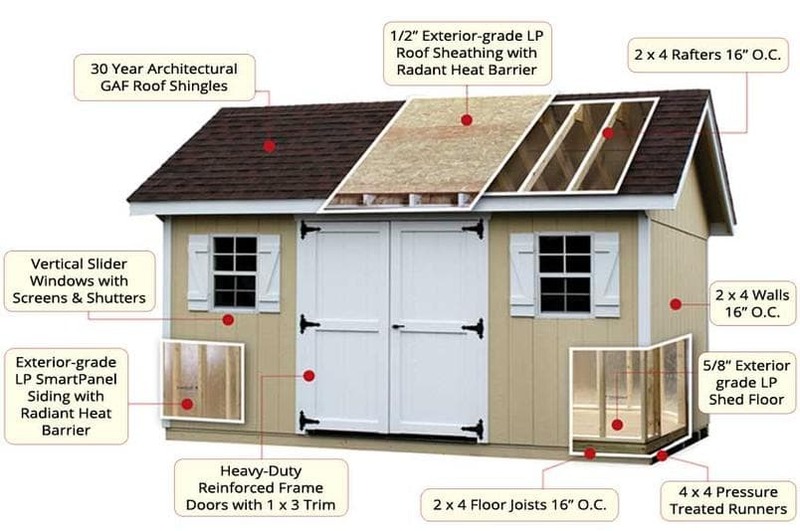 Our goal at All Amish Structures is not to offer the cheapest shed you can find — those are available at your local big box store. Our main desire is to provide the best value your money can buy. 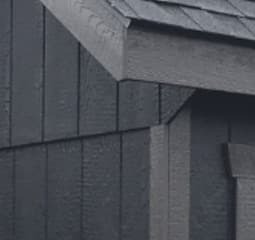 We expect our Amish made structures, when installed correctly, to last up to 35 years or longer. It’s an investment into your property for years to come. Take a look below at how they are built! 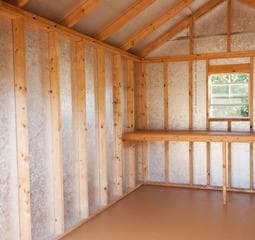 Why LP Building Products? 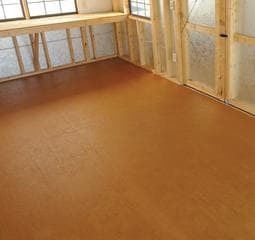 One of the great benefits of using LP Building Products is their proprietary SmartGuard process. Using a combination of waxes, binders and zinc borates, this process helps protect against decay, fungi and termites in even the harshest environments. To prove it, LP products are subjected to intense testing against moisture and thriving termite colonies in the jungles of Hilo, Hawaii. Even after years of exposure, LP Smartside products remain unaffected. Click the links below to learn more about SmartGuard, or the links below to learn more about the various LP products we use.